Napoleon had at least two illegitimate children and two stepchildren (Josephine’s offspring Eugène and Hortense), but only one legitimate child: Napoleon François Charles Joseph Bonaparte, also known as the King of Rome, Napoleon II, the Prince of Parma and the Duke of Reichstadt. He did not hold all of those titles at the same time, and you can tell whether someone was a supporter of Napoleon based on how they referred to the boy after 1815. His nickname was l’Aiglon, or the Eaglet (one of Napoleon’s symbols was the eagle). The son of Napoleon and his second wife, Marie Louise, Napoleon II was born at the Tuileries Palace on March 20, 1811 to all the splendour of the Imperial Court. (See my post about the King of Rome’s perilous birth.) A salvo of one hundred cannons broke the news to the city of Paris. Cheers erupted at the 22nd retort – 21 shots would have meant the baby was a girl. The balloonist Sophie Blanchard ascended to drop leaflets announcing the birth. The baby’s public baptism at Notre Dame Cathedral in June entailed the most sumptuous procession the Empire had yet produced, apparently to the grumblings of some poverty-stricken Parisians. Napoleon pronounced the boy the King of Rome, a title that had belonged to the House of Habsburg (Marie Louise’s family) until Napoleon broke up the Holy Roman Empire. The child’s favourite toys were flags, trumpets, drums and a large toy horse with a red velvet saddle. Napoleon’s sister Caroline sent the boy a small caleche driven by two lambs, which he drove along the walks at the Tuileries. Napoleon had him fitted with a Mameluke costume and a uniform of the National Guard. Napoleon planned to build an elaborate palace for the King of Rome, across the river from where the Eiffel Tower now stands. This golden world came crashing down in 1814. The last time little Napoleon saw his father was on January 24 of that year. He was not yet three years old. When Napoleon abdicated on April 4, he named his son the new Emperor of the French. 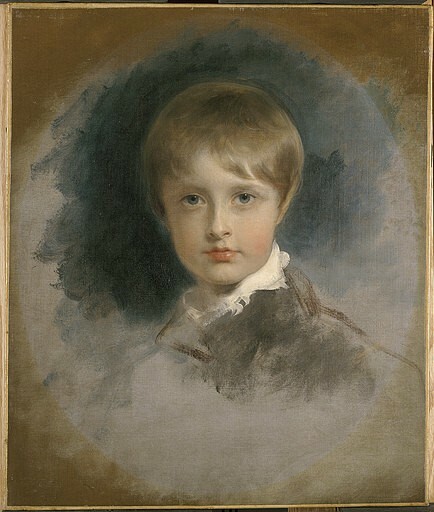 The child in theory gained the title Napoleon II. However, the coalition partners who defeated Napoleon refused to allow junior to become his father’s successor. On April 6, Napoleon was compelled to abdicate unconditionally, renouncing his and his descendants’ rights to the French throne. Upon Napoleon’s exile to Elba, Marie Louise and her son went to her father’s court in Austria. When Napoleon escaped from Elba and returned to France in 1815, they did not join him. After losing the Battle of Waterloo, Napoleon again abdicated in favour of Napoleon II. The boy was theoretically Emperor of the French from June 22 to July 7, until the Allies entered Paris and restored Louis XVIII to the throne. The Congress of Vienna made Marie Louise the Duchess of Parma. Her son assumed the title of Prince of Parma, though the Treaty of Paris (1817) made sure that he could never succeed her. He did not accompany her to Parma to live. He was not even allowed to visit her there, for fear that his appearance might revive hope in the adherents of Napoleon’s fallen dynasty. Marie Louise, meanwhile (unbeknownst to her son), started a family with her Austrian lover, Count von Neipperg, and rarely visited Vienna. Napoleon II saw Marie Louise only four times from the time she left for Parma through June of 1826. Francis had to deal with the very real threats of the boy’s abduction or assassination. It was reported that Napoleon had offered a considerable sum to anyone who would bring his son to him. The Austrians feared the child’s French attendants might disguise him as a girl (he had beautiful blond curls) and spirit him away. Meanwhile, French ultra-royalists proclaimed that a rope should be kept in readiness for the child. They offered a sizeable reward to anyone who would assassinate him. Franz became very close to Princess Sophie of Bavaria, the wife of his uncle Franz Karl. Their oldest son, Franz Joseph, became Emperor of Austria, and their second son, Maximilian, became Emperor of Mexico. The assassination of their grandson, Franz Ferdinand, led to World War I. Franz and Sophie spent hours in each other’s company. There were rumours that they had an affair, though this is unlikely. Franz took an interest in soldiering from a very young age. Once old enough, he began a military career, as detailed by Tom Vance (author of the fascinating non-fiction book, Napoleon in America: Essays in Biography and Popular Culture) in “The Eaglet in Uniform: the Military Service of Napoleon II” on the Napoleon Series website. Napoleon II died at Schönbrunn Palace on July 22, 1832, age 21. Marie Louise was with him. Francis was not. See my post about Napoleon’s son’s death. Prompted by the desire to secure souvenirs of their beloved Duke of Reichstadt, the Viennese crowded into his room and carried off whatever they could lay hands on, including his hair. On December 15, 1940, the remains of Napoleon II were transferred from Vienna to Les Invalides in Paris, as a gift to France from Adolf Hitler. They rested for a while beside those of Napoleon, then were moved to the lower church. Napoleon II’s heart and intestines remained in Vienna. They reside respectively in urns at the Habsburg Heart Crypt (Hofburg Palace) and the Ducal Crypt (St. Stephen’s Cathedral). For information about Napoleon’s stepchildren, see my post about Eugène and Hortense de Beauharnais. If you’re interested in his illegitimate children, see my post about Léon Denuelle and Alexandre Walewski. Louis Étienne Saint-Denis, Napoleon from the Tuileries to St. Helena; Personal Recollections of the Emperor’s Second Mamluke and Valet, Louis Etienne St. Denis (known as Ali), translated by Frank Hunter Potter (New York and London, 1922), p. 6. Claude François de Méneval, Napoléon et Marie-Louise, Vol. 1 (Paris, 1844), pp. 446-47. Emmanuel Auguste Dieudonné de Las Cases, Memoirs of the Life, Exile, and Conversations of the Emperor Napoleon, Vol. 3 (New York, 1855), pp. 316-17. Edward de Wertheimer, The Duke of Reichstadt (London, 1906), p. 47. Claude François de Méneval, Napoléon et Marie-Louise, Vol. 3 (Paris, 1845), p. 205. Guillaume-Isidore de Montbel, Le Duc de Reichstadt (Paris, 1836), p. 122. Louis-Joseph Marchand (Proctor Jones, ed. ), In Napoleon’s Shadow: Being the First English Language Edition of the Complete Memoirs of Louis-Joseph Marchand, Valet and Friend of the Emperor, 1811-1821 (San Francisco, 1998), p. 495. Dorothy Julia Baynes [Dormer Creston], In Search of Two Characters: Some Intimate Aspects of Napoleon and His Son (London, 1945), p. 323. Octave Aubry, Napoleon II: The King of Rome, translated by Elisabeth Abbott (London, 1933), p. 256. Great article! It’s wonderful to see the Eaglet get this kind of attention. Some additional sources include biographies by Andre Castelot (1960) and E.M. Oddie (1932), along with Pierre Nezelof’s, “Napoleon and His Son” (1937). Also, interesting articles about Napoleon II by these American authors in these magazines: Langdon Greenwood, The Century Magazine (March 1873); Tudor Jenks, St. Nicholas (Sept. 1892); and Norman de Lesseps, The Mentor (Dec. 1928). Wonderful, Tom. Thanks. I love reading these old articles. They are so full of anecdote and feeling. Thanks, Tom. I loved your article on his military service. Thanks for the additional sources – I look forward to reading these. A coincidence that the birthday of the King of Rome, Mar 20, was the date of the beginning of the Hundred Days, 200 years ago today. I read a rather touching letter by our subject to his mother about his father. “He is my model of dignity and seriousness,” is my memory of one sentence of the letter. Sorry I can’t give you a reference, Shannon. Why has there not been a notable epic tragedy about Napoleon, by an author comparable to Flaubert? The dying remarks of the King of Rome somehow seem fitting to include in such a tragedy. Thanks for that wonderful quote, Adddison. The timing of the Hundred Days is less a coincidence when one considers that Napoleon deliberately delayed his entry to Paris so that he could arrive on his son’s fourth birthday (a symbolic gesture – the King of Rome was not in France, let alone Paris). Napoleon’s life would make a great epic tragedy. Max Gallo’s “Napoleon quartet” probably comes closest. 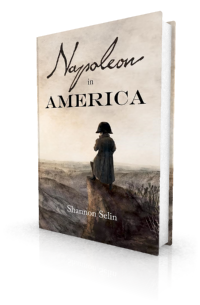 If you haven’t already seen it, I wrote a post about Napoleon in historical fiction: http://shannonselin.com/2015/01/napoleon-historical-fiction/. Thanks, Pier. Interesting to know more about the history of the nickname. There is reference to Napoleon II as l’aiglon in an 1832 article about his death in Revue universelle: bibliothèque de l’homme du monde et de l’homme politique, Vol. 3, p. 322. The article claims that Metternich, upon waking, asked his valet, “Where is my eaglet?” The valet, trembling, responded that the eaglet was, in fact, an eagle and had taken flight. I have a rare French hand-colored lithograph of Napoleon’s son with a sword with the head of Zeus on the hilt. 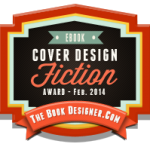 Would like to find a collector who might be interested. Thanks, Cecil. If anyone is interested they can contact me and I’ll put them in touch with you. I would like to purchase items to do with Napoleon 2nd in a bust or medal form. If you contact the Napoleonic Historical Society (http://www.napoleonichistoricalsociety.org/), they might be able to put you in touch with potential sellers. I heard the story that a small bird was his constant companion and died the same time he did? Is this true? I don’t think so, Molly. I haven’t come across that in the accounts written by people who met Napoleon’s son, or by people who based their books on primary sources. Thanks, Emmanuel. I’m glad you liked the article. I am slowly making a collection of Napoleon and his family’s history in prints objects etc. The print from Cecil Smith would be a lovely addition to my collection if still available. I live in France. Thanks, Rosalie. I’ll put you privately in touch with Cecil. “Napoleon pronounced the boy the King of Rome, a title that had belonged to the House of Habsburg (Marie Louise’s family) until Napoleon broke up the Holy Roman Empire”. Formally the title that had belonged to the House of Habsburg was “Rex Romanorum”, which means “King of Romans”. It was a completely different title, King of Rome would just recall it. Thanks for this clarification, Antonio. My birth and my death – that is my whole story.